Whenever South Africa play an ODI game that isn’t at an actual World Cup, we are told that they are tinkering with selection in pursuit of the perfect starting lineup. Star players are sent away on holiday and youngsters arrive in abundance to see if they can cut it at international level. Cricket South Africa shouldn’t be criticised for blooding youngsters but rather that they don’t play any of their seasoned stars and arrive at a World Cup without them being in any form. Since Dale Steyn made his debut for South Africa back on a windy day in Port Elizabeth in 2004, he has only managed to rack up a miserly 124 ODI games over the 15 years that have followed. Despite being seen as the key to the Proteas success at the World Cup, the South African selectors have chosen to rest their country’s best ever fast bowler and in the process, reduced his skills with the white ball given he has only played a fraction of the 50-over format during the course of his career. With the World Cup only a few months away, the same blueprint is being followed again as Quinton de Kock and Dale Steyn were rested for the first couple of games against Pakistan in January. This dated model is without a doubt hurting South Africa and prohibiting the starting eleven from finding any rhythm together. Most of the youngsters used in the series against Pakistan won’t be boarding the plane bound for London in May and instead, the old guard will be asked to come back from time off to win the country a first ever World Cup. It seems any progressive thinking left the South African setup when Graeme Smith retired now that the Proteas are returning to old ways that have paid no dividends on the World Cup stage since their return from isolation in 1992. As a cricketing nation, South Africa probably have the best strength in depth around the world with an abundance of world-class talent waiting in the wings but it is how that talent is introduced to international cricket that is hurting the country’s World Cup prospects. South Africa go into the World Cup with the chances of them winning at their longest ever odds at 8/1 in cricket betting. Despite all the ‘tinkering’, the side will look very similar to the one that competed at the World Cup in 2015 which is odd seeing as a lot of them haven’t played much ODI cricket since Grant Elliot hoisted Dale Steyn over long on for six to send the Proteas crashing out of yet another World Cup semifinal. There has been a feeling of doom around the Proteas since AB de Villiers’ retirement but it’s worth remembering that every World Cup South Africa have gone into they have been backed as the favourites. Now that they aren’t, could flying under the radar actually help given that the spotlight seems to shine a bit too bright for the Proteas’ liking when it’s on them? Support of the national side in will begin to reach fever pitch as the World Cup in England draws ever nearer but the fear is there could be more upcoming heartbreak for the passionate people of the rainbow nation. There’s still time to go however and a lot can happen in the next 90 days, but there’s no time to waste for the Proteas if they are to finally exorcise their World Cup demons. There’s something about cricketers that makes it next to impossible for them to use each other’s real names. Yet while simply adding “y” or “ers” to a name is commonplace (Smithy, Tuffers and so on) some truly imaginative nicknames have emerged in the middle over the years. Here are some that are certain to raise a smile. There were those who said Ashley Giles’ long career as England’s number one spinner said more about the paucity of alternative talent than anything else. Yet while he never pretended to be anything other than a reliable, solid off break bowler, his habit of picking up extraordinary nicknames was legendary. When his county team Warwickshire ordered promotional memorabilia with the words King of Spin for his benefit year, a mistake by the printers resulted in him being hailed the King of Spain. Of course, the nickname stuck, only to be surpassed by veteran broadcaster Henry Blofeld comparing his appearance to that of a wheelie bin. Punter Ponting is not just great alliteration, but also refers to the former skipper’s love of a wager. 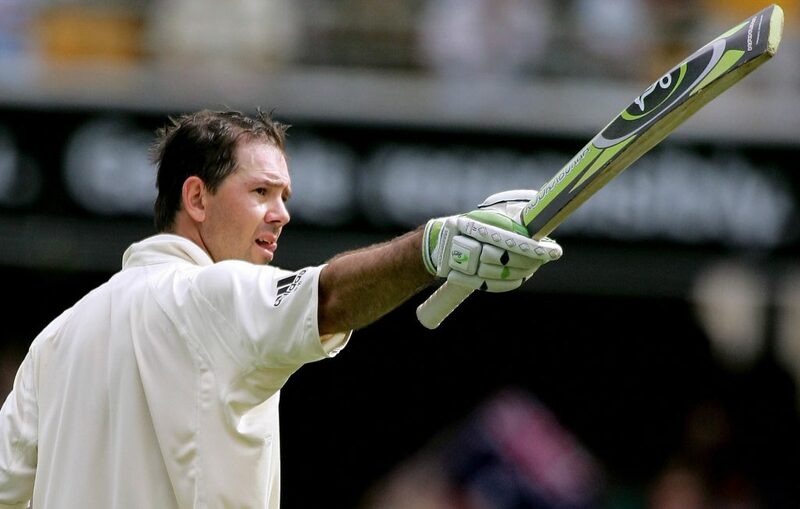 Cricket and sports betting are topics that do not always go hand in hand, but Ponting, along with contemporaries like Shane Warne and Mark Waugh, steered clear of his own sport and would favour avenues like unibet au to back the horses or the greyhounds. As the lone Sikh in the India team at the turn of the millennium, turban-wearing Harbhajan Singh was an unmistakable figure out in the middle. But it was during Australia’s tour to India in 2001 that he acquired his nickname. In the second test, Singh destroyed Australia almost single handed, taking 13 wickets, and he went still better with 15 in the third test. Australian newspapers reported on how he had “terminated” the Australia innings time and again, and the name Turbanator soon followed. Modern day cricket enthusiasts will remember Trevor Bailey’s gravelly tones as a guest commentator and summariser on the radio in the 1990s. But back in the 1950s, he was known as Barnacle Bailey for his immense stickability out in the middle. The all-rounder was an immovable object in England’s middle order, and got his team out of many a tight spot with a solid and resolute forward defence. In the 1958/59 Ashes series, he blocked his way into history with a 357 minute half-century, the slowest ever in first class cricket. The 2019 Cricket World Cup will be on everyone’s lips in the New Year as attention turns to one of the biggest sporting events in the calendar and the world’s best sides travel to England and Wales to fight it out for the most prestigious trophy in the game of cricket. It will be the first World Cup to be contested without all of the Test playing nations being present. The format will be a single group of ten teams, with each side playing the other nine sides, and the top four teams progressing to the knockout stages. With the abundance of quality sure to be on show in the UK and a number of young stars looking to lay down their respective markers in the world game, below are a few rising talents to keep an eye out on in the lead up to the World Cup and during the competition itself. At the tender age of just 17 years old, Ur Rahman is regarded as one of the brightest prospects in cricket currently and is expected to increase his stock further from 30 May to 14 July 2019, which is when the tournament is scheduled to take place. At the age of just 16 years and 325 days, the Afghan spinner became the youngest player to take a five-wicket haul in a One Day International match, eclipsing the likes of Waqar Younis, Wasim Akram and team-mate Rashid Khan in doing so. Just like the newly formed team he’s playing for, Mujeeb Ur Rahman is soaring to the top of the game and with conditions predicted to suit him in the UK, him and his Afghanistan team-mates could be the surprise package of the World Cup. Odds on them winning the competition at 100/1 (bet365) represents amazing value for a dangerous, relatively unknown quantity on the world stage, although reaching the knockout stages will surely be their main target. 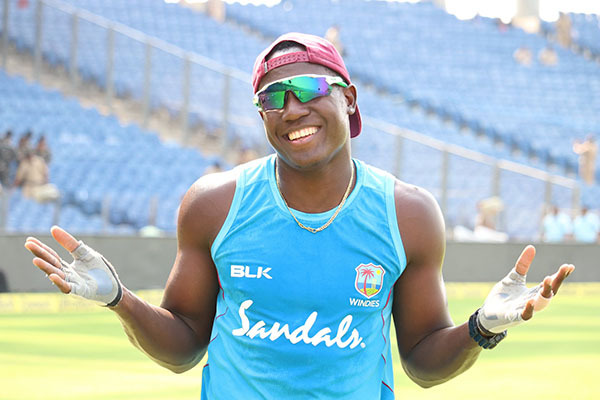 A player who is really expected to kick on in his career, Rovman Powell is someone the West Indies will be looking to up their levels in England and Wales as they aim to reign supreme and become the world’s best side. Having had a stop-start time in the last year or so and having really failed to deliver on a consistent basis, Powell hasn’t really lived up to his billing but the feeling amongst the cricket world is that he’s slowly but surely coming to the fore. At the age of 24, the all-rounder is approaching make or break time and expected to deliver in 2019, should he make the final squad of course. As for the Windies themselves, odds on them winning the competition are currently priced at 20/1 (skybet) which is decent value for such a prestigious cricketing nation. A number of bookies offers are available too, making it all the more worthwhile when you place a bet. Currently priced at 3/1 (bet365) to win the World Cup, Pant’s India are arguably the team to beat ahead of the competition. Alongside hosts England, priced at 5/2, and the always capable Australia at 5/1, India possess a huge amount of quality and tournament know-how. 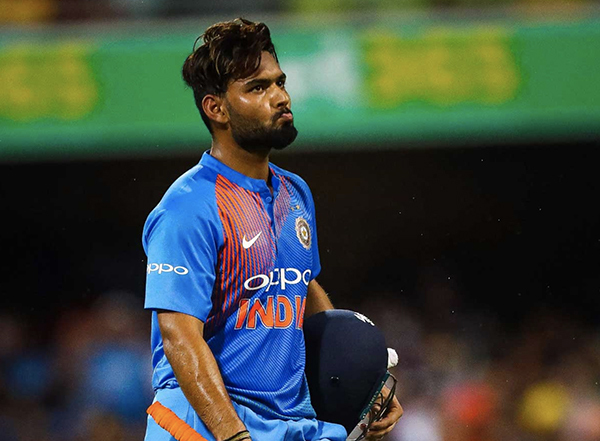 Pant, who’s only 21, opened the batting for India at the 2016 Under 19 World Cup, where he registered a record-breaking half-century against Nepal in Bangladesh before notching a century against Namibia. Pant’s emergence is certainly worth monitoring in what promises to be an India side more than up for the challenge in 2019. It’s been another fantastic year for cricket fans with so many great moments from around the globe in the three formats of the globe. As we edge towards the end of 2018, here is a list of who we believe are the three leading batsmen in the world at the moment. It is very difficult to argue against Virat Kohli being the number one batsman in the world today. The Indian excels in limited overs cricket and equally in the Test game where he has helped lead his country to the number one spot in the ICC world rankings. Kohli currently has an impressive average of 54.47 in Test cricket with over 6300 runs. He has broken so many individual milestones with India and in world cricket. The 2017 ICC Cricketer of the Year could be on course for winning the award for the third time in his career in 2018. India are set to face Australia in a Test series next year where his side are $2.50 in the cricket betting to come out on top as the visitors. The inclusion of Steve Smith on this list is sure to divide opinion as the Australian was banned for a year in March due to his involvement in ball tampering in a game between Australia and South African earlier in 2018. Smith accepted his part in that incident and the charge given to him. Once he serves his ban, the former Australian captain will hopefully be able to move on and show the world how good of a batsman he is. The 29-year-old currently averages 61.37 in the Test game and 41.84 in one day cricket for his country. Australia will be turning to Smith to play his part in trying to help his side win an Ashes series in England for the first time since 2001 when the Baggy Green tour there in 2019. Kane Williamson has been New Zealand’s leading player for a number of years now and in that time that Kiwi batsman has consistently been at the top end of the ICC Leading Test batsman rankings. In his 65 matches so far in Test cricket, Williamson has scored over 5300 runs with an average of 50.35. The innings which stands out the most is his 242 not out against Sri Lanka in 2015 where his side declared on 524-5 otherwise he could have extended that score even further. Back in March, Williamson broke the record for the most centuries score in Test cricket by a Kiwi when he secured the 18 th of his career. Just a few months ago he went over 10,000 first-class runs when playing for Yorkshire in the County Championship in England. At the age of just 28, the New Zealand batsman has many more years ahead of him in the game, therefore he is sure to go on to further records. All three players will be looking to continue to impress in 2019 in a year which features the ICC World Cup in England. 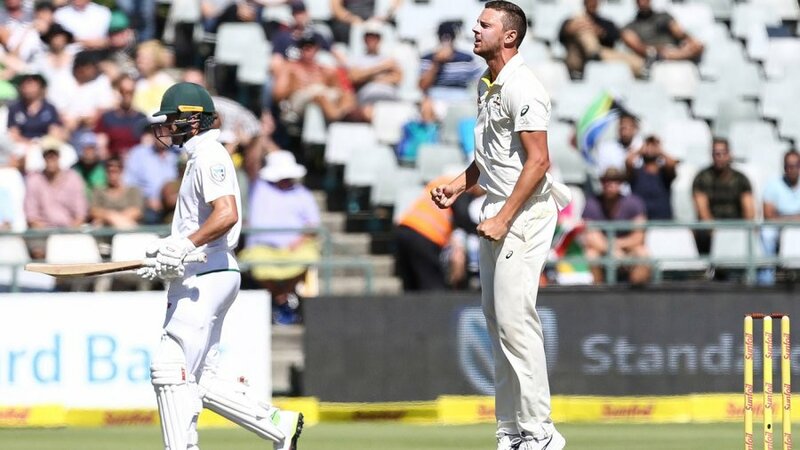 Australia have huge concerns ahead of their Test series against Pakistan after Josh Hazlewood and Pat Cummins pulled out of their tour. 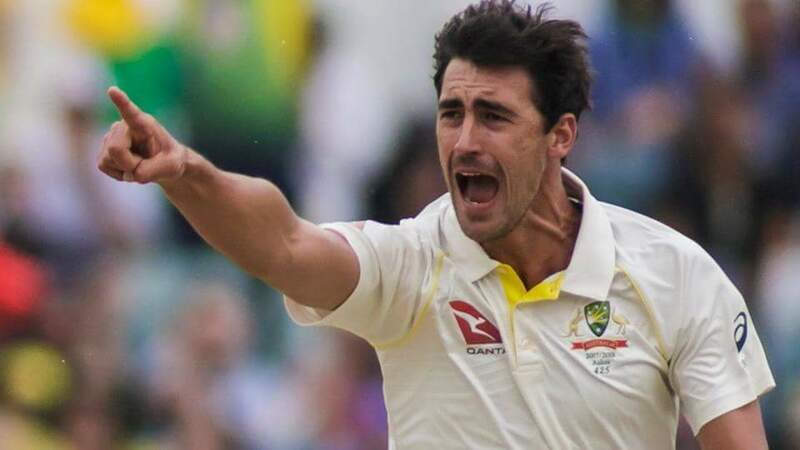 It leaves Mitchell Starc alone from the pace attack that led the Baggy Greens to their Ashes triumph over England last year. Justin Langer now faces a huge challenge, travelling to the United Arab Emirates without four of his senior players, with Steve Smith and David Warner continuing their suspensions from the ball-tampering scandal. The Baggy Greens have not had a fruitful time since their win over England, losing their series against South Africa while being embroiled in the controversy of the scandal. The suspensions handed out to Smith and Warner along with Cameron Bancroft left a huge blemish on the reputation of Australian cricket. Darren Lehmann was forced to resign from his role as head coach, placing Justin Langer in the limelight. Their first taste of cricket of overseas cricket without their captain and vice-captain could not have got off to a worse start as England whitewashed the Aussies in their ODI series. James Anderson made the remark during the Ashes that Australia had little depth behind their potent pace trio. His comments proved to be correct as Tim Paine had nowhere to turn to with the ball in their 50-over matches as his team were dismantled by the Three Lions. Australia now travel to the UAE without several key men to stave off a successive Test series defeat on the road. The Baggy Greens will want to build momentum ahead of the defence of the Ashes, which they are currently backed in the latest cricket betting odds at 10/11 to win next year in England. However, a lot will hinge on the fitness of Starc, Hazlewood and Cummins along with the development of the next raft of pace bowlers. The injuries to Hazlewood and Cummins will force Langer and Paine into delving into their depth. Jackson Bird has the experience at the age of 31, but has not excelled at the highest level. He should be scheduled to come into the side to replace Hazlewood. Bird struggled against England in his last outing, although he does have 34 wickets in his nine matches. Given the lack of players with a number of first-class games under their belts, Bird’s knowledge could be vital, especially in conditions overseas. Jhye Richardson had brief moments on the tour of England with the white ball. The 21-year-old has not made a Test appearance for the Baggy Greens. However, he does have a good first-class record, taking 22 wickets at an average of 28.40. The problem for Richardson is that he has only played six matches of championship standard cricket. He will be learning on the job against Pakistan and then in the future series against India and England. Chadd Sayers is the only other option for Australia that has experience at Test level, having played one solitary match against South Africa. He does not have express pace, although his style of line and length bowling could suit English condition should the Aussie selectors take a long-term view. Starc has also had fitness issues so Langer and Paine will be hopeful that he does not break down. The series against Pakistan could be very important for the future of Australian cricket, developing depth behind the key players for future series. Virat Kohli leads his men into a five Test series in England this month and the onus is on him to prove his greatness. The India captain will be up against two of the world’s canniest bowlers in James Anderson and Stuart Broad and he must step up. Last time he toured England was in 2014, when Anderson embarrassed him on a regular basis and India slumped to defeat under MS Dhoni. A lot has changed in the last four years as Kohli has established himself as cricket’s greatest star, and it is time for him to exercise those demons. He began to enjoy a vast upsurge in ODIs after overhauling his diet and training regime in 2012. That relentless focus turned him into a machine, capable of dominating bowlers and pulling off match winning innings after match winning innings. But by the time 2014 rolled around, Anderson exposed Kohli’s weaknesses in brutal fashion. He was somewhat predisposed to planting his front foot way ahead and playing at balls away from his body, and this served him well in white ball cricket. But with the swinging red ball, Anderson bamboozled him, picking holes in his footwork and punishing his reckless nature. Kohli ended the series with a paltry average of just 13 runs. In 10 innings, his highest score was 13. He was removed edging the ball to wicketkeeper or slips on seven different occasions, four of them at the hands of Anderson. After India’s crushing defeat, Kohli was labelled a white ball player only. Much has changed since that failure, but it remains a substantial blot on his otherwise impeccable copybook. Now the Indian captain has the opportunity to avenge that defeat and lead his team to glorious victory against a struggling England team. If he pulls it off, he will overtake Australia’s Steve Smith as the world’s top-ranked batsman and confirm India’s status as the number one Test team. Yet if you read reviews of sportsbooks and find the best odds available you will see that India are clear underdogs in this series. That is strange as England have lost eight of their last nine tests and their focus is clearly on white ball cricket. They have struggled to cobble together a top six and they have underwhelmed for a long time. Yet in Anderson they still possess one of the world’s finest bowlers, and Broad can be extremely dangerous too. 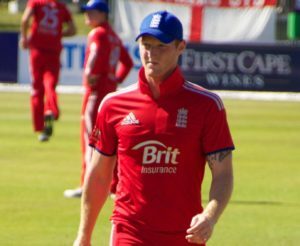 It will be crucial for England to always have one of them on the field when Kohli is batting. If they can remove India’s openers early and attack Kohli quickly, they might have a chance of keeping the score down and allowing the likes of Joe Root and Jos Buttler to fire the hosts to victory. However, conditions could well play into India’s hands. England is amid its driest, hottest summer since records began and prolonged sun and heat is forecast going forwards. This series runs until September 11 and these conditions will suit India far better than England. The visitors are well accustomed to heat and dry, dusty pitches, and they can thrive in England this summer. If there is sideways movement off the pitch, it could help Anderson and co trouble Kohli, as swing may not be enough. If they can keep his averages at around the 30 mark, by getting at him within the first 20 overs, they could win this series and begin the rebuilding process. But if India’s openers remain disciplined and Kohli’s averages stand at around 50, the visitors should secure victory. Then there would be absolutely no doubting Kohli’s greatness. The world of sports is already a thrilling industry with high profile athletes performing at their best. Many athletes seek to crossover from their sport into another one which always brings about a lot of media attention as well as audience excitement. For instance a recent crossover event was last summer’s high profile fight between MMA fighter Conor McGregor and boxer Floyd Mayweather caused a great deal of interest and has even led to negotiations for a possible second fight. In some situations, athletes end up converting over completely to the other sports. Even though some sports are rather similar, such as baseball and cricket, the conversion can still be difficult for the athlete. The sports of cricket and baseball have many similarities. Both sports are played with two teams with similar positions such as batters and fielders. Pitchers are featured in both, however, they are referred to as bowlers in cricket. The pitcher/bowler pitches a ball to the batter who then tries to hit it to get on base as its referred to in baseball. In cricket, the base is instead known as a stump. In both games, the team with the most runs wins. 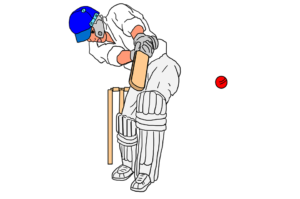 A special player is positioned behind the batter, which is the catcher in baseball and the wicketkeeper in cricket. Of course, cricket and baseball also have some substantial differences. The playing field varies between the two. With baseball being played around a diamond with bases positioned at the corners. However, cricket is played on a pitch which is essentially a strip of ground. There is a batter at each end as they bat in pairs, running between the ends. If the two players are able to switch positions, a run I scored. This is much different than in baseball where the players must run around the diamond, touching all four bases. Innings are also different with baseball having three outs per team and cricket having 10 outs. Pitchers can pitch an entire game of baseball but cricket bowlers can only bowl six legal ball deliveries then they must rotate. With the similarities between the two sports, it is no surprise that athletes from both sports have crossed over into the other. For example, after a great career as a cricket player, Kieran Powell tried to enter the world of professional baseball. He participated in spring training exercises for both the Mets and Brewers. Japanese baseball player, Shogo Kimura, attempted a similar crossover but into cricket. Despite the similarities, the overall ways of performing hits have been a challenge. As time goes on and the wide world of sports seems to become less wide, there will undoubtedly be even more athletes who attempt complete crossovers into related sports. It will be interesting to see how many are able to overcome the challenges and can fully integrate themselves into the game. The test series between WI and SL began on Wednesday. This becomes only the fourth series between the two teams and the first with more than two matches. Unfortunately Broadcasters have acquired immense power because they are the major source of cricket’s overall revenue. They don’t think that telecasting a fixture between these two teams would be commercially sustainable given the low viewership and time difference. This fixture had often been called off and postponed (and then never took) several times. You can stay tuned into this series and all the latest news surrounding cricket at BigCricket. The teams are equally matched and have great potential. Despite WI’s home advantage they are underdogs amongst the bookmakers. That’s why it is very good opportunity to place bets if you want to win some serious cash. If you’re interested in banking upon this opportunity, you could use some reliable betting tips to maximize your returns. It won’t be an overstatement to say that this could be the last time a test series is being played between these two teams on Caribbean soil. The fixtures have been few and far between. The last time these two played was in 2008 when Chaminda Vaas, the left-arm swing ace was still playing. SL, led by Mahela Jaywardene, marked their visit with their first victory in the West Indies. The SL squad’s preparations received a massive blow due to unfortunate setbacks involving important players. The team will miss opening batsman Dimuth karunarante and pacers Nuwan Pradeep and Dushmantha Chameera through injury. SL arrived with only Devendra Bishoo as the specialist spinner. Their squad includes two fresh faces. A WK-Batsmen Jahmar Hamilton, and opener Devon Smith both of whom may not get into the starting line-up. Rising batting sensation Dhanajaya de Silva did not travel with the squad due to his father being murdered towards the end of last month. Even though he has reached WI following his father’s funeral it might be too late for the first match. SL will be looking to extend their form in the previous seven matches where they have lost just once. Their last defeat in those matches was to the first-placed India. They registered a remarkable 2-0 victory over Pakistan in the UAE and also defeated Bangladesh at home by the same margin. Captain Dinesh Chandimal will have to be at his best if SL are to prevail against the Indies. Over the course of his captaincy he has transformed his game to suit other talented players in the SL team. He sort of holds the fort by staying on the pitch for long durations, tries to exhaust opposition bowlers so that other batsmen could take advantage. As far as WI cricket team is concerned the selectors have failed to give stability to this team as players continue to be taken in and out of the squad. They have ignored several promising stars playing in T20 leagues around the world. Their decisions have received fierce criticisms in the region. Those who get to the top of any industry are the ones that are never truly satisfied with their own personal performance. They have a burning desire that runs deep down to always improve and that is spurred on by the acknowledgement that every day is an opportunity to get better. Virat Kohli is the epitome of that type of individual. The Indian skipper is a modern day great but he knows he has weaknesses that have the potential to weaken the legacy he will one day leave behind. Ask any pundit or fan about Kohli’s stature in the game and you will be met with a long-winded string of superlatives. The cricket world agrees that Kohli is one of the best batsmen to have ever played the game and astonishingly he hasn’t turned 30 yet. Unfortunately, the global cricketing fraternity also shares the opinion that Kohli’s record in England is an extremely poor one by any standards and questions over his ability to succeed in the English conditions are louder than ever. It even has Michael Holding refusing to call Kohli a great until he is able to score substantial runs in the United Kingdom. That may seem a bit cynical from the former West Indian quick but there is an element of truth in Holding’s judgment that can’t be ignored. Ignoring that fact is certainly not something Virat Kohli will be doing and the unsettling noise around his England record has made him more determined than ever. Kohli only averaged 13.4 in the five tests in England in 2014 with a highest score of 39. As frustrating as that was for him, Kohli isn’t willing to get caught up in spats with those who have questioned his technique on English pitches. Mudslinging between pundits and players is always fascinating to watch and gives fans a chance to see what happens when the gloves are off. It often takes place in the media and over social media, which adds fuel to any fire. No one is partial to unjust criticism especially when its delivered in a public space, but when you give it to professional sportsmen with sizeable egos, the reaction tends to be a strong one. Virat Kohli has heard the damning assessments of his time in England and isn’t choosing to respond with the keyboard but rather with bat in hand. Kohli has signed for Surrey and will play in the County Championship in June for the South-East franchise. It’s a move that you can only admire and gives you great insight into the way Kohli is wired. In total, Kohli will play three County Championship games for a very talented Surrey side that are yet to lose in the competition this season. Their versatility in all formats is one of their strengths and it shows as William Hill has Surrey at 13/2 to win the Vitality T20 Blast this season. Kohli will arrive in a dressing room that is well-rounded and eager to win. It's official – @imVkohli is to play for @surreycricket in June ? The Indian captain may only be playing a small part in the four-day format but his decision to do so will reverberate around the cricketing world. For a man that is so confident almost to the point of being brash, it’s quite evident that Kohli also recognises his flaws. Perhaps that’s why he is so confrontational on the pitch as he sees competitors around him that won’t go to the lengths he will to improve. One thing is for sure and that is Virat Kohli puts his money where his mouth is and those flaws in England may be a thing of the past after the 2018 summer. The 2019 Cricket World Cup might seem a long way off at the moment, with most of the cricketing world more concerned with who has been tampering with balls than with wondering how the next World Cup will pan out. However, with Afghanistan and West Indies securing their place in the tournament this week to complete the final 10, it may be worth looking at the odds to get an indication of how the nations are shaping up. The betting markets show a very tight picture at the very top, with England, Australia and India often trading places as favourites among major bookmakers. On average, the general consensus has England as the favourites. They come in at odds of around 3/1, although they can be found as low as 5/2 (Betway) and as high as 4/1 (Marathon). Australia are priced lowest with Paddy Power at 3/1 and highest with Betfred at 9/2. India range goes from 7/2 (Ladbrokes) to 9/2 (Bet365). The first question, of course, is do England deserve to be regarded as favourites? They were awful in the 2015 World Cup in Australia and New Zealand, winning just two matches and exiting at the group stage. There has certainly been a lot of improvement since that time, despite a poor showing in the Ashes. The likes of Joe Root, Jimmy Anderson and Ben Stokes provide a decent backbone for the England side – but will home advantage be enough to finally take the three-time runners up across the finish line? Of course, the great and the good of Australian cricket have a lot on their minds right now. 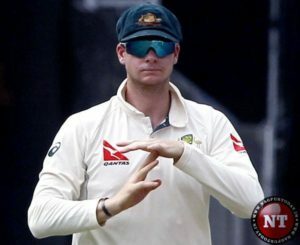 The recent cheating scandal in the tour of South Africa has been described as “the darkest day in Australian cricket history”, with the Steve Smith and Cameron Bancroft implicated in the incident. Even former captain Michael Clarke, who hinted at coming out of retirement, called it “pre-mediated, blatant cheating”. There is a lot of turmoil in the Australian camp then, but there is plenty of time to get back on track before the World Cup gets underway. Odds of 4/1 or so seem reasonably fair for Australia to defend their trophy. The true value may lie in backing India however. Odds of 9/2 seem quite generous for the top-ranked test playing side in the world, especially when you can use the latest free bet offers from Aussiefreebet.com.au to back India or anyone else to triumph. As ever, there is plenty of talent in the India test squad, it is just a question of whether they can prove their worth on English soil. By no means are the trio of England, Australia and India the only serious candidates to win the ICC Cricket World Cup. South Africa, available at odds of around 5/1, also look like contenders, whereas New Zealand (7/1) and Pakistan (10/1) should certainly not be ruled out. Test cricket is often about momentum however, and you could see the odds fluctuating over the coming months. Still, a bit of value can be found in the early odds by punters looking to take a chance.